The otolaryngology clinic at the UT Southwestern Monty and Tex Moncrief Medical Center at Fort Worth focuses on ear, nose, and throat (ENT) conditions. As part of UT Southwestern Medical Center, our Fort Worth otolaryngology clinic has all the advantages of being associated with one of the nation’s leading clinical and research centers for audiology, cochlear implantation, balance and facial nerve disorders, head and neck cancer, sleep disorders, and other specialties. We also partner with other Fort Worth physicians and health care providers, so that whenever possible, our patients can receive the care they need within the Fort Worth community. 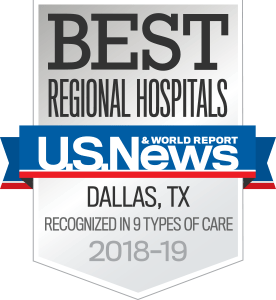 As part of UT Southwestern's Department of Otolaryngology, our mission is to advance patient care through excellence in clinical practice, education, and research. The specialists at our Fort Worth otolaryngology clinic work to recognize and strengthen the department's vision to be a national leader in otolaryngology. Our Fort Worth ENT team expertly diagnoses, treats, and manages conditions including allergies, balance disorders, ear conditions, hearing problems, sinus disorders, and sleep and swallowing disorders. We also treat more complicated conditions, such as head and neck cancer, thyroid and parathyroid diseases, and facial nerve disorders. To facilitate ongoing communication, we recommend patients sign up with MyChart, which allows patients to request clinic appointments, communicate directly with doctors, request prescription refills, update contact information, and view test results. Sign in or sign up for MyChart. It is very important that you do not run out of your medication. Be sure that you have sufficient refills to last until your next appointment with your otolaryngologist. We are happy to provide you with a written prescription upon request.